A fight that can made the whole world stop. A fight from undefeated fighter from USA, a 28-0 title holder Vs the said to be the King of Boxing Ring, the 8 time world Champion Manny Pacman Pacquiao of Philippines. The strong punches of Bradley vs the speed and power of " pacman " will be expecting from this fight on June 9th at the MGM Grand. Bradley naturally has no style that Pacman to worry for, not like Juan Manuel Marquez which is a counter puncher warrior. But Manny "pacman" Pacquiao said that he still have to do training and watch Timothy Bradley fight, so that he can study it well. Also not to under estimate all boxer. 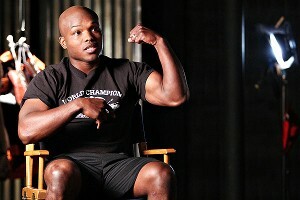 Many boxing analyst said it be will hard for Timothy Bradley to raise its hands after the game in all aspects. Let's just watch the fight and wait for the winner to announce, the game is not yet over, and anything can happen. Only the fight can judge who will raise its hands and said the word I did it. We are expecting another sportsmanship fight from this two great warrior as they fight on the boxing ring. But hope the management will also expect the bad thing such as " RIOT " just like happened in Argentina. We are not praying it but it is important to be ready such kind of sarcastic things.